When you shop for a luxury vehicle, most folks fail to consider buying it used. They believe that they need the latest-and-greatest new models. But, there are numerous advantages to buying used. 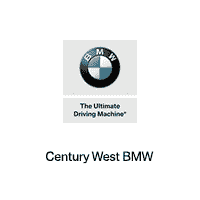 Browse our analysis below of why you should shop for a used BMW and let us know your opinion! Four Reasons to Buy a Used BMW! No One Knows Its Used: Some folks don't want their Studio City neighbors to know they bought a used car. Well, it doesn't matter if you buy it new or used, a BMW is still a BMW and its performance doesn't change. A new BMW M-Performance model is just as fast and stylish as used one! Save Money: While you can save money by utilizing specials from our finance center, used BMW options help you save instantly. This is because they tend to cost less than their new car counterparts, which allows you to do more of the things you love, like visiting your favorite Los Angeles restaurants. Lower Rate of Depreciation: When you drive a new car off of the lot, it instantly loses a significant amount of value. The same doesn't happen with a used car, which allows you to retain your investment and likely see a better return if you decide to sell the vehicle. More Car-Buying Options: Since a used BMW costs less than a new one, there are more options to buy! That model that you had your eyes on but was just out of your price range might just become affordable if you can find it in our used BMW inventory!